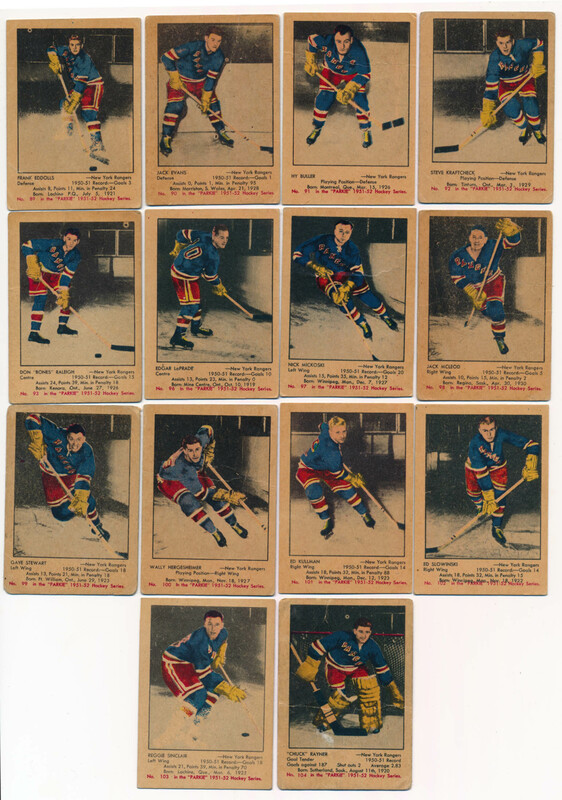 Small binder of clean vintage New York Rangers cards, the cards are nice. Breakdown is as follows: 51 Parkhurst (14, VG-Ex - NM), 52 Parkhurst (17) and 54T #53. Everything will be pictured front and back on our web site, these are from an old time collector, there are a few very sharp cards in this lot.